Justice is a concise and accessible introduction to the central theories of justice in contemporary political theory. The book aims to provide readers with a clear understanding of the theories and the main objections to them, as well as showing how these theories engage with one another. It offers detailed accounts of John Rawls's theory of justice as fairness; the alternative 'capabilities approach' developed by Nobel--prize winning economist Amartya Sen; the libertarian theories of Milton Friedman and Robert Nozick; the 'group--rights' based theory of Will Kymlicka; and Nancy Fraser's theory of participatory parity. The book also includes extensive discussions of the nature and purpose of political theorizing, and it asks whether theories of justice should take only social institutions as their subject, or should also comment on personal motivations and behaviour. 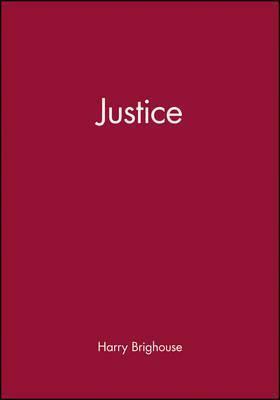 Justice is a concise and accessible introduction to the central theories of justice in contemporary political theory. The book aims to provide readers with a clear understanding of the theories and the main objections to them, as well as showing how these theories engage with one another. It offers detailed accounts of John Rawls's theory of justice as fairness; the alternative 'capabilities approach' developed by Nobel-prize winning economist Amartya Sen; the libertarian theories of Milton Friedman and Robert Nozick; the 'group-rights' based theory of Will Kymlicka; and Nancy Fraser's theory of participatory parity. The book also includes extensive discussions of the nature and purpose of political theorizing, and it asks whether theories of justice should take only social institutions as their subject, or should also comment on personal motivations and behaviour. Preface. Chapter One: Introducing Justice. Chapter Two: Ideal Theory and Institutional Feasibility. Chapter Three: John Rawls's Theory of Justice as Fairness. Chapter Four: The Capability Approach. Chapter Five: Libertarian Justice. Chapter Six: Justice and Groups. Chapter Seven: Affirmative Action, Equality of Opportunity, and the Gendered Divison of Labour. Chapter Eight: Personal Justice, Political Justice and Liberal Feminism. Chapter Nine: Conclusion. Notes. A GUide to Further Reading. Bibliography. Index. Harry Brighouse is Professor of Philosphy at the University of Wisconsin, Madison.